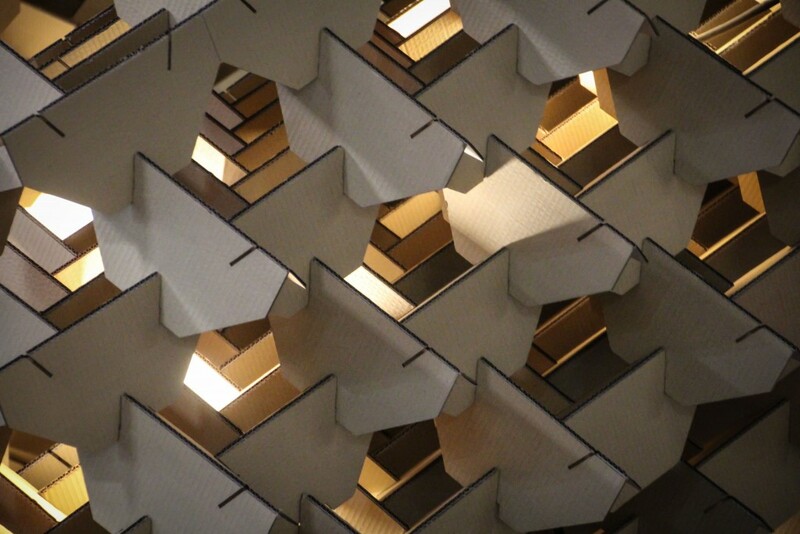 The MAA Lightweight Structures Seminar in this second edition has explored the topic of the folded surfaces, testing the capability of a plan to acquire structural stiffness through folds. How would it be to inhabit an origami? Throughout complex computational form generations, structural simulations and physical 1:1 constructions, students have explored the extreme possibilities of a plan. 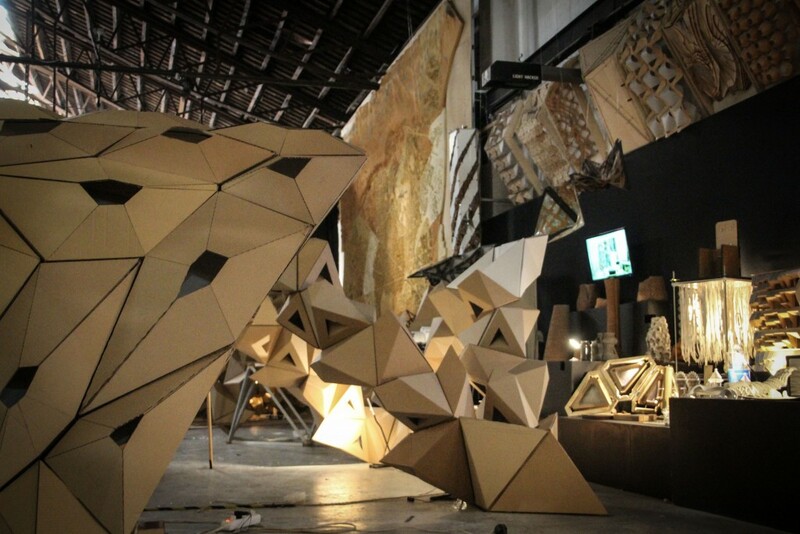 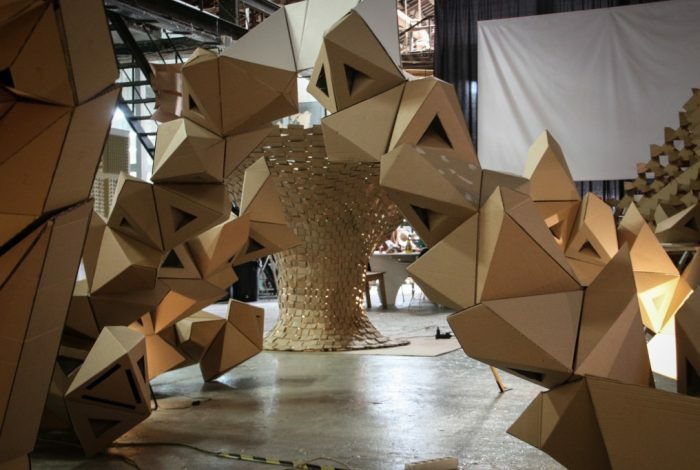 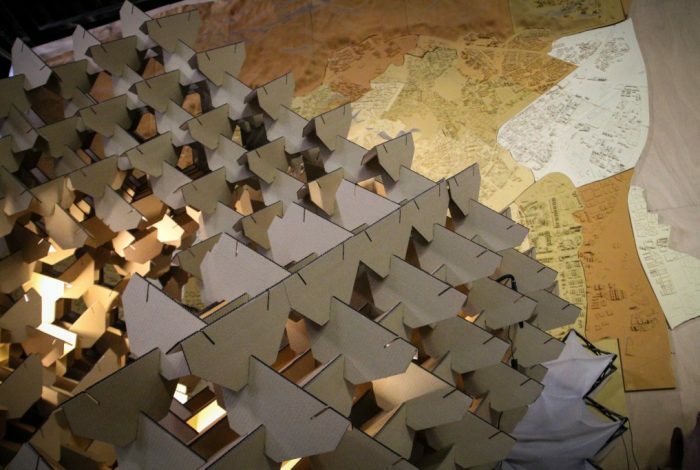 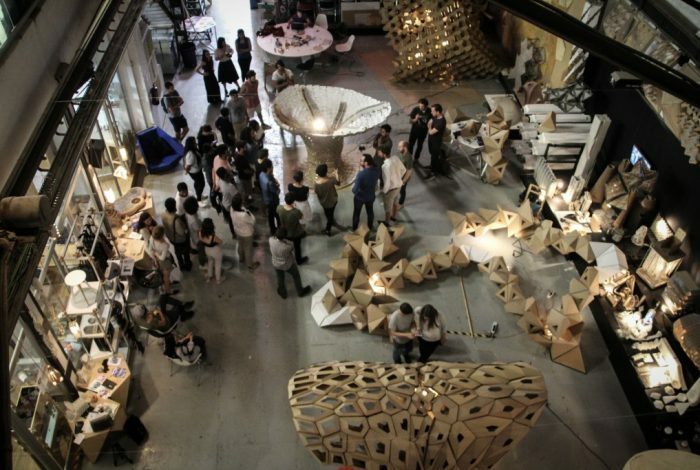 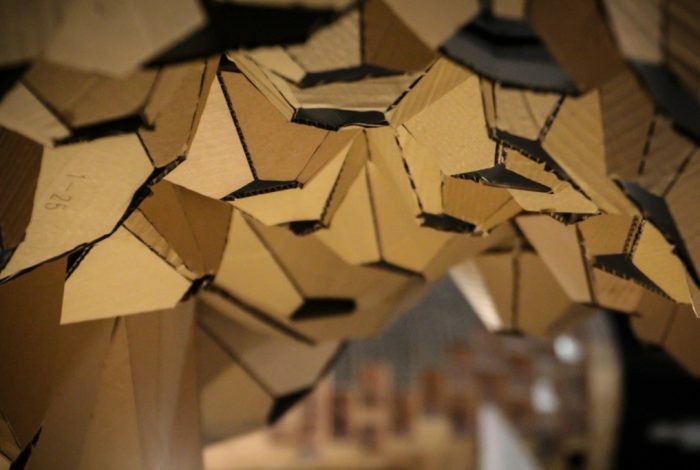 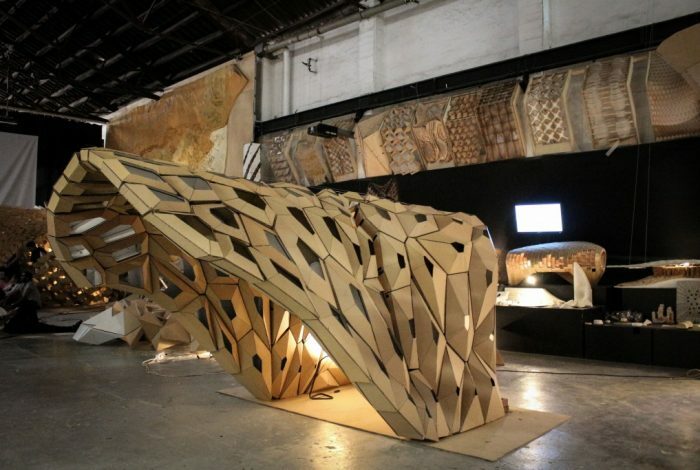 Working in teams, participants have designed, tested and built a free standing and self supporting, lightweight, digitally fabricated pavilion totally built in cardboard, which have been selected to be part of the Fab Fest 17 in London. 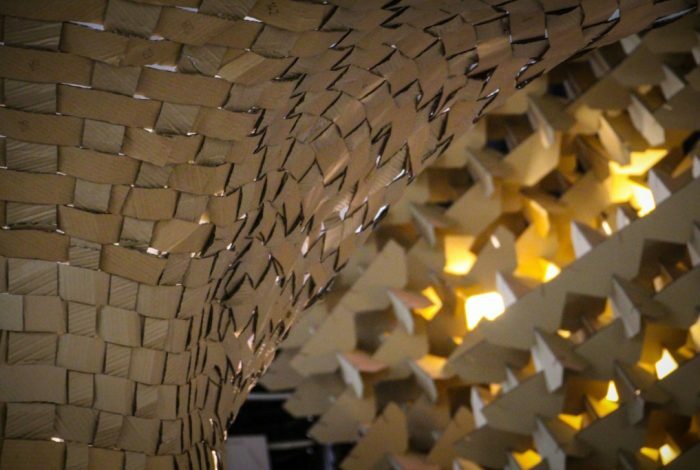 A user interface algorithm with grasshopper has been created to generate forms and optimise the structures through various methods.